Can you identify this UFO foreign body? This is probably the ‘meanest’ non-conformance yet! What is food safety and quality culture? I get HACCP, but what is HARPC? We now have a jobs page! Find your perfect job here! We are now publishing sites jobs on our website. If you’re looking for a new role, take a look here! 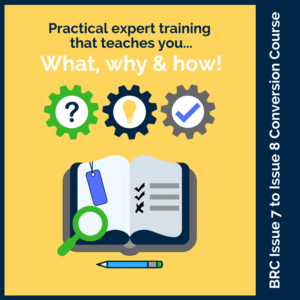 BRC Issue 8 Training out now!